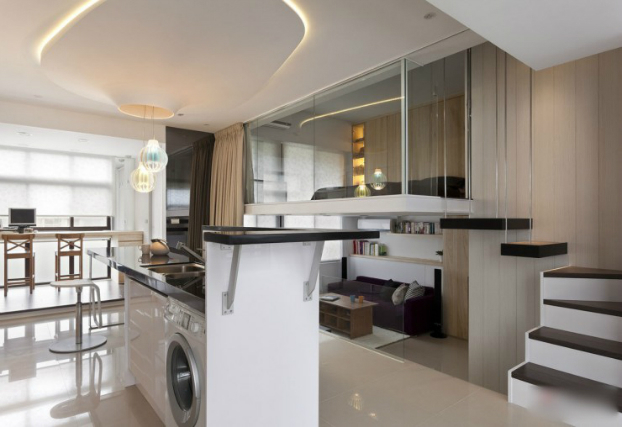 More and more single men and women are choosing a studio apartment type over other types of small apartments because of its undoubtedly benefits. 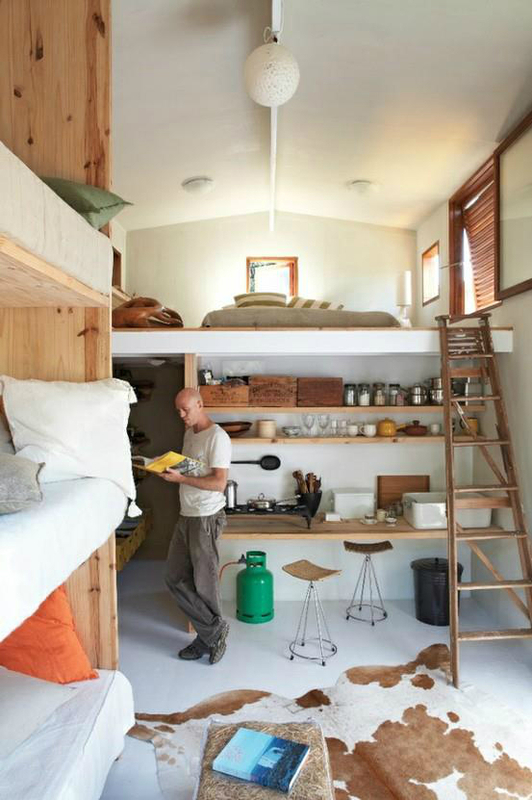 However, a studio apartment comes with one obvious drawback – small in size. 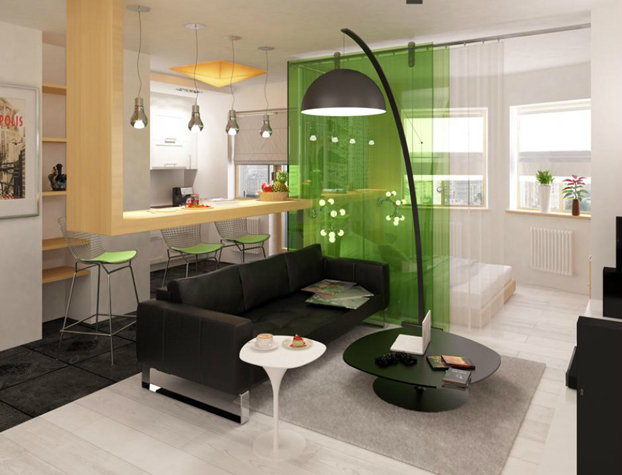 Due to its limited space, designing a studio apartment is more than often a very daunting task. Remember that a studio apartment must accommodate various activities, such as cooking, watching TV, playing games or even taking a shower. 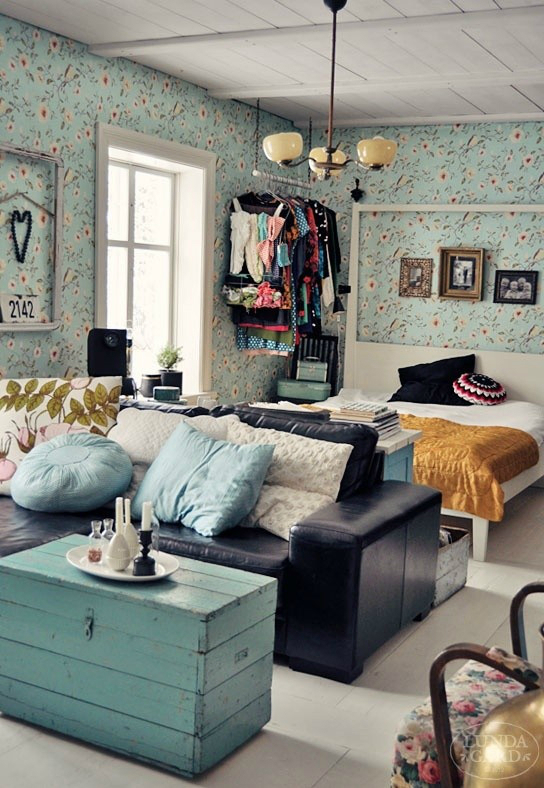 This is why decorating a small studio apartment requires some efforts and a few groundbreaking ideas. 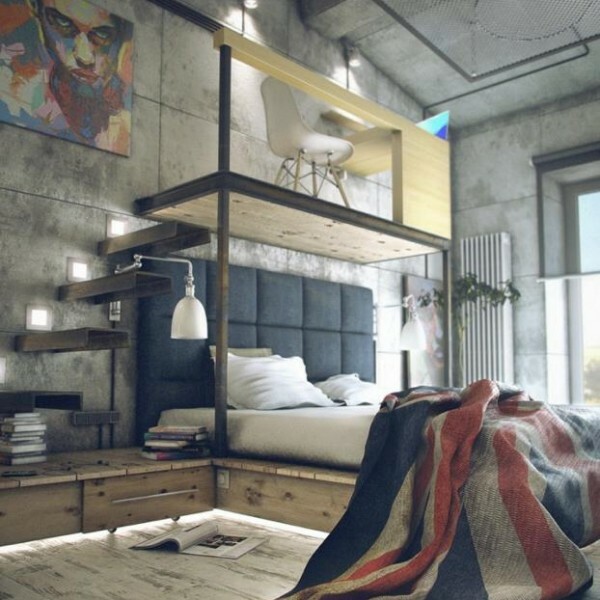 After conducting a thorough research in this niche, I have found some extremely interesting small studio apartment ideas that are suitable for anyone who wants to make his apartment more livable and give it a more fashionable allure. 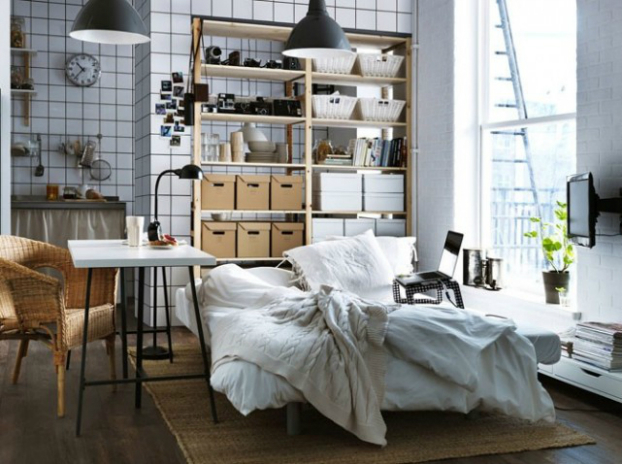 Keep in mind the following tips and make the most out of each of them in order to decorate your small studio apartment according to your tastes. 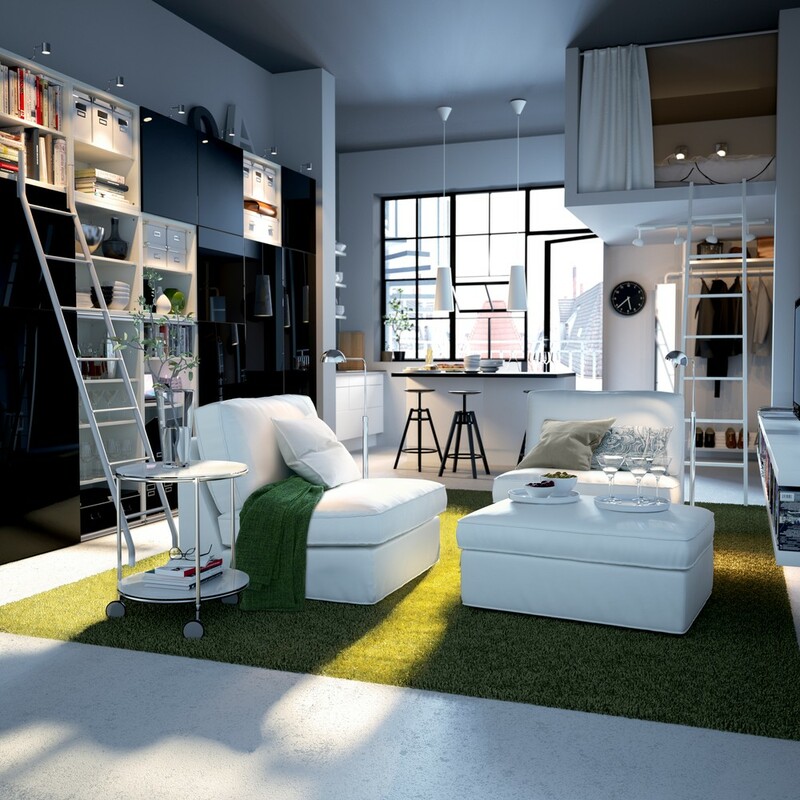 Even if a studio apartment is not so big in size, you can choose a neutral city style to make up for this deficiency. Neutral curtains and walls combined with silver and black accents make the interior space appear much larger, while adding a unique tint of crispness. 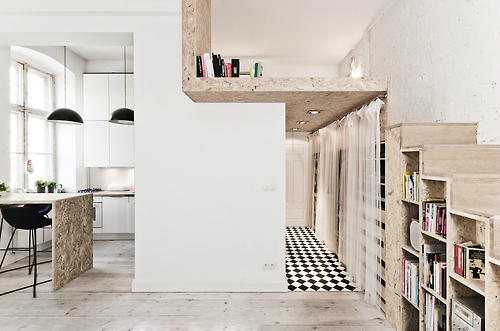 For ultra small spaces, ghost furniture is simply amazing. Just imagine a hardly visible coffee table that still serves its purpose extremely well. 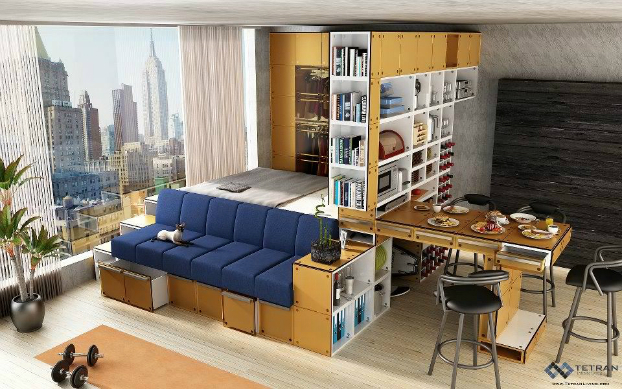 For a small studio apartment, your furniture should have a dual function – design and storage. 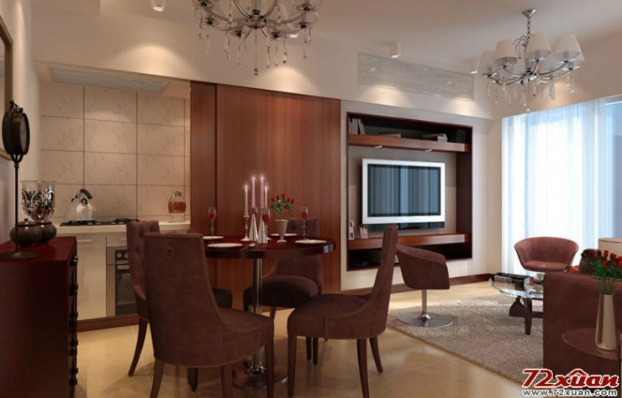 Buy chairs, tables and sofas with embedded storage compartments. Keep those items you use on a rarely basis in various containers hidden under your sofa or placed in a corner. You can easily transform your narrow living room by using a vibrant and full of color 3D wallpaper. A crisp white sofa and black and orange graphic wallpapers can do wonders for your room. 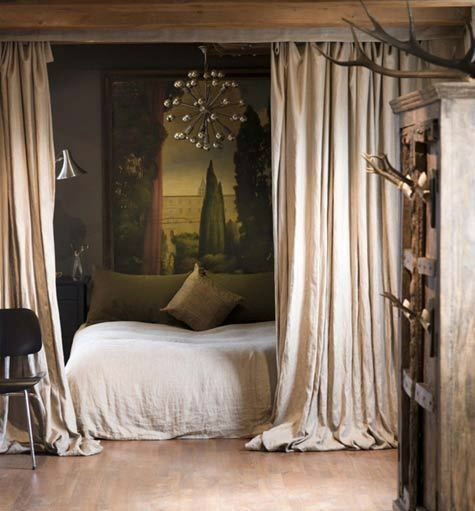 You can also choose forest-green draperies for a more dramatic touch. 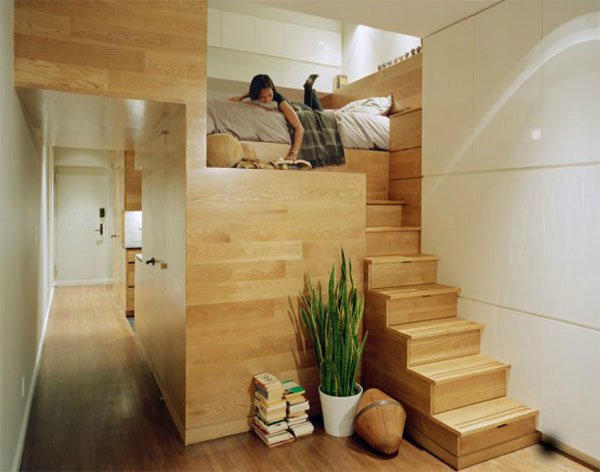 Think out of the box, be creative and you will get extremely content with your small studio apartment. 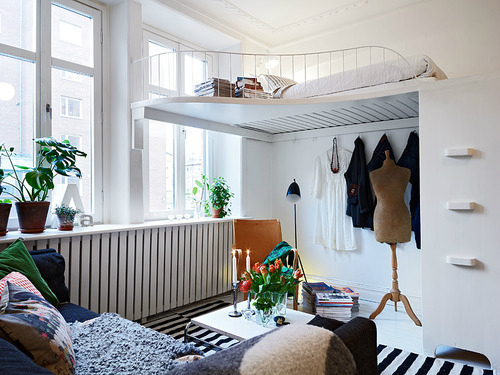 If you really want to be unique and make the most out of the wide variety of small studio apartment ideas and designs available on the market, go with a high, exposed ceiling. 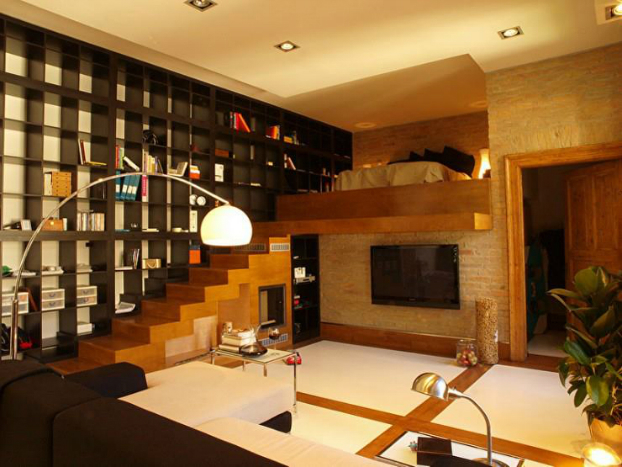 Moreover, separate the bedroom from the rest of the apartment using a cubicle bookshelf or a large drawer. 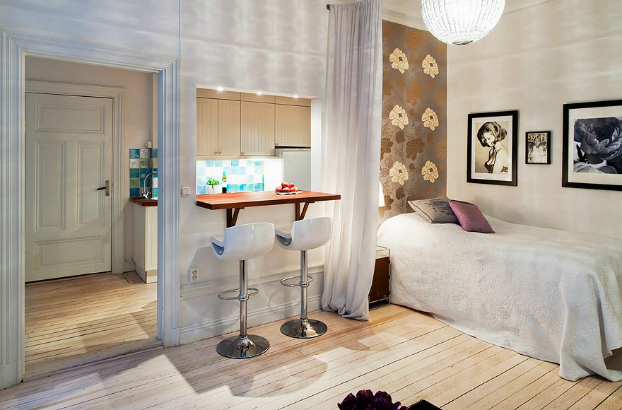 You can make the most out of your small studio apartment by leveraging the above ideas. If you have new ideas or your want to share an experience you had with your studio apartment, don’t hesitate to post your comment below. 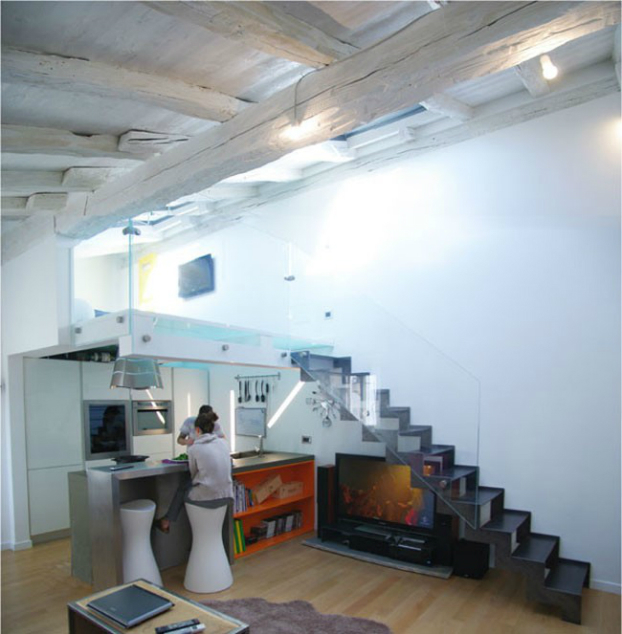 A home doesn’t need to be big, just smart and there are plenty of big ideas for small space living. anybody get that type of info iin such an idal aporoach of writing? I’ve a presentation subsequent week, and I amm on the loook for such info. Retiring and moving from a tri level house, 4 bedrooms, 2 1/2 baths, family room, dining room and living room to a mobile home with 2 bedrooms and open space kitchen and living room. Appreciate the many ideas you have shown. Need to maximize storage and purge furniture to fit comfortably into a small space. None of these spaces are small, maybe one 1 or 2. More like luxury studio living. Mirrors are essential decorating pieces in any studio apartment, as their reflections create an optical illusion that makes a small space appear to be much bigger than it actually is. Hang an oversized mirror from your ceiling to separate your studio into what feels like two rooms, as well as to seemingly enlarge your space.